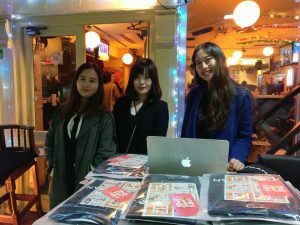 Shenzhen, China-based bitcoin-focused data and trading services provider BitKan told CoinReport in an email they held a bitcoin meetup at The Pink Cow restaurant in Tokyo, Japan, Wednesday. 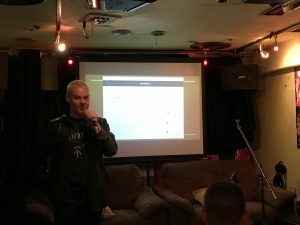 The app company said about 100 people attended the event but some participants said it was the biggest Tokyo bitcoin meetup in recent years. The BitKan app has the largest number of users in the Chinese bitcoin industry. 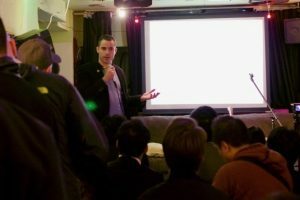 Speakers at the meetup included bitcoin investor Roger Ver; Jihan Wu, CEO of leading bitcoin mining hardware manufacturer Bitmain; David Zhang, CEO of Japanese bitcoin exchange BTCBOX; Ruby Chen, marketing manager at BitKan and Talon Media Group co-founder Jon Southurst. In his speech, Ver defined ‘good money’, saying it has to be hard to counterfeit, scarce, divisible, homogenous, durable, easy to transport and easy to store. He then went on to give an overview of bitcoin, also mentioning the ups and downs in the cryptocurrency’s price and the growth in user base over the years. He also mentioned bitcoin’s drawbacks like block size, transaction confirmation time, transaction fees and decreased bitcoin percentage of total market capitalization against combined altcoin market capitalization. Ver also suggested what can be done in order to overcome these drawbacks, saying bitcoin unlimited is the solution, which offers bigger blocks, lower fees, faster communications, more users, more nodes and layer 2 scaling, which all will lead to bitcoin becoming good money. 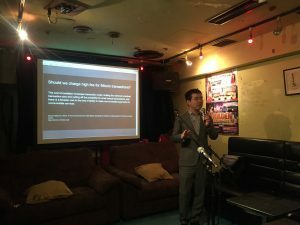 Zhang gave an overview of his exchange, speaking about how the exchange did in the past three years or has been doing since its inception in 2014. 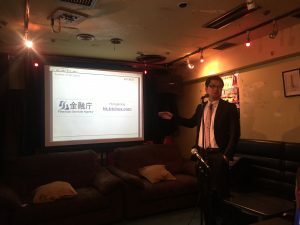 He talked about MBK Co. Ltd. (3121:Tokyo), a Japanese-based company whose merchant banking segment is mainly engaged in investment and financing to corporations and real estate in Japan and China, and Yumeshin Holdings Co. Ltd. (2362:Tokyo), a Japanese-based holding company mainly engaged in manpower dispatch business, forming business and capital alliances with his exchange. Chen talked about OTC trading, saying it is a booming exchange model in China. 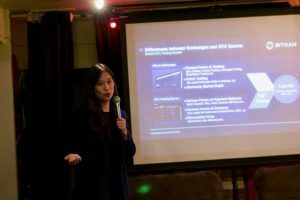 She stated differences between trading on bitcoin exchanges and OTC trading escrow, saying bitcoin exchanges offer various forms of trading such as spot, futures, leveraged, quantitative etc. ; quick trading that can be finished in seconds and market depth, while OTC trading escrow offers several forms of payment methods such as bank transfer, wire, cash, Amazon Gift Card etc. 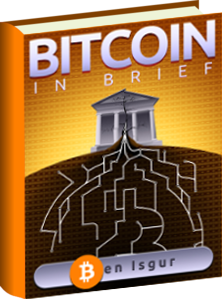 ; various forms of currency and price negotiability. She suggested OTC trading has an edge over exchange trading, saying it allows for larger value trading, supports different payment methods and enables people who don’t have any exchange in their country to trade. She also said finding an escrow can make OTC trading easier and better, as an escrow or trading partner like her company can offer real-time price, price alerts, news and mining monitoring. She then went on to share BitKan’s past product strategy roadmap/till 2016, highlighting BitKan became the largest app in China in 2015. 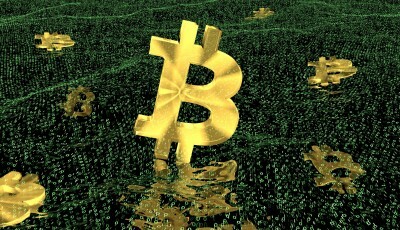 Southurst spoke about why bitcoin needs better industry reporting now more than ever, saying mainstream media focuses too much on bitcoin price movements, while it needs to cover stories from China more often. He also announced that his media group will soon launch an entirely new bitcoin news site, as bitcoin industry absolutely needs more media. He concluded by saying that the industry media has matured and it must keep improving by being more responsible and presenting all sides of the story. 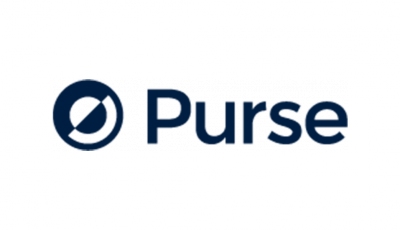 Founded in 2013, BitKan’s founding team comprises experienced former employees of Huawei. The app features OTC trading, price viewing, news reading, real-time mining monitoring, price alert and e-wallet services. Users can store bitcoin as well as buy and sell the cryptocurrency.